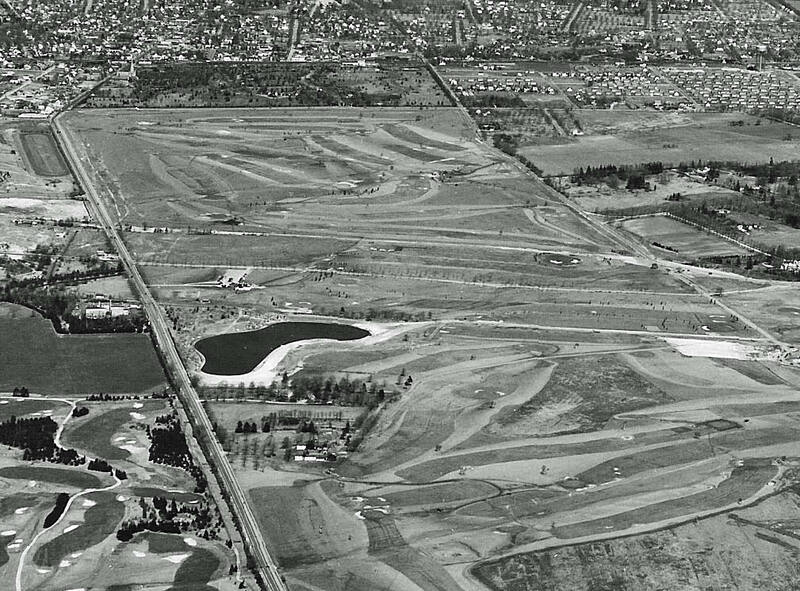 This 1949 aerial shows sections of the courses for six Vanderbilt Cup Races...Greg and Frank found two more races than I originally considered. The aerial is looking north towards East Meadow (my childhood hometown) and Westbury. 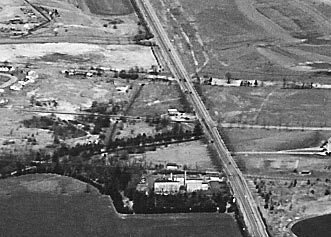 Merrick Avenue is the major north/south road, Hempstead Turnpike is the east/west road on the bottom and Old Country Road is the east/west road in the background. 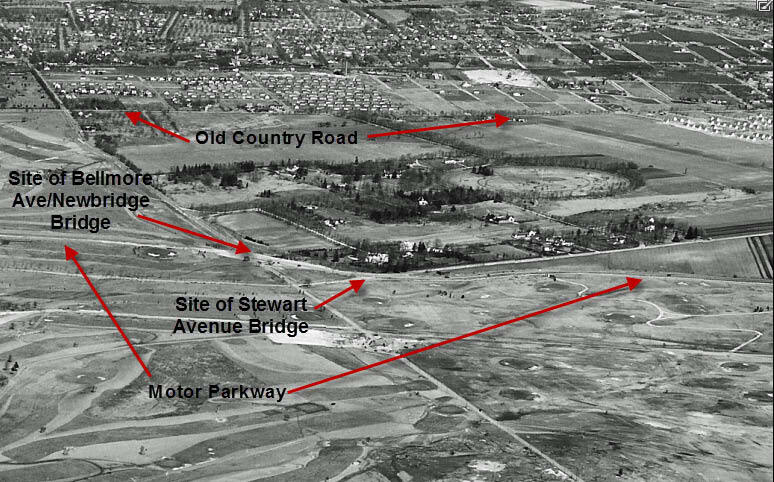 Remnants of the Long Island Motor Parkway can be seen heading east/west in the middle of the aerial. -What other landmarks are in the aerial? Stables of Roosevelt Raceway (harness racing) and site of Roosevelt Raceway (auto racing), now the Source shopping mall. The site of the runway at Roosevelt Field used by Charles Lindbergh in 1927 on his historic flight. Lindbergh just missed hitting the telephone wires on Merrick Avenue. 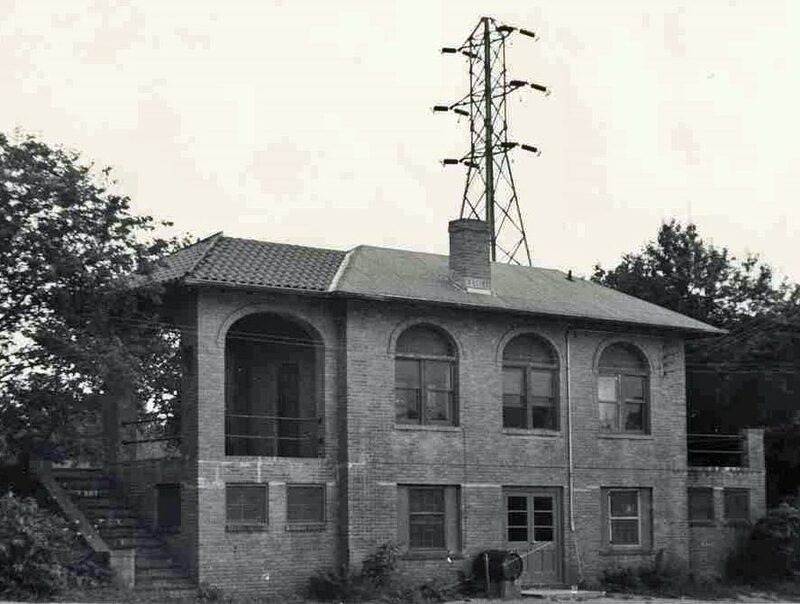 Congratulations to Steve Haubell, Tim Ivers, Jim Waechtler, Greg and Frank Femenias for getting the location correct and many answers to the Mystery Foto questions. If you have a suggested Mystery Foto, please send a jpeg to me at Howard@Kroplick.com . 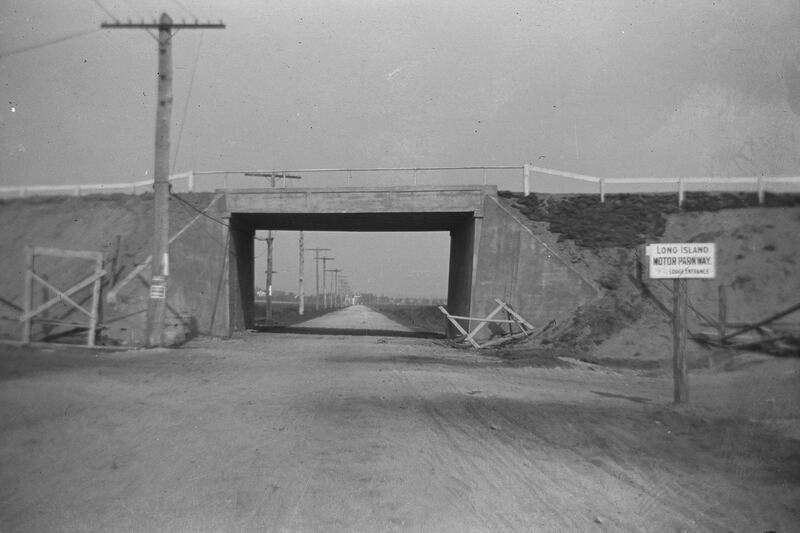 Merrick Avenue Motor Parkway Bridge looking north. 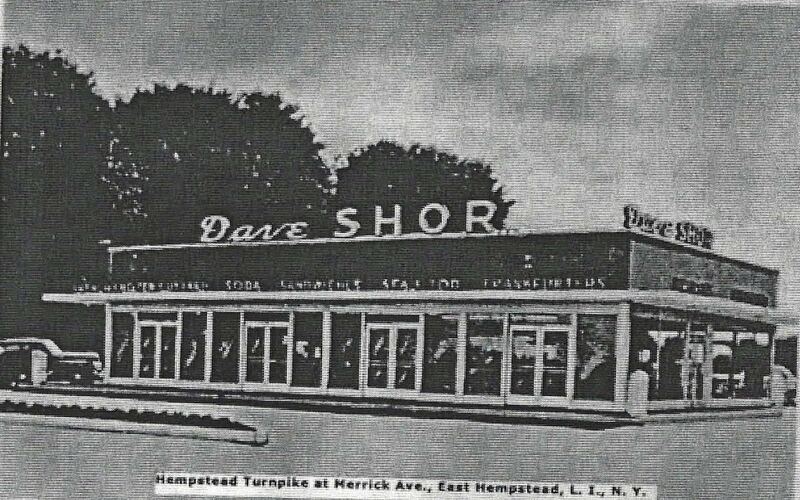 Dave Shor located at the south east corner of Hempstead Turnpike and Merrick Avenue. The three lines cutting through Eisenhower Park are the LIMP, Stewart Ave and the LIRR right of way (from north to south). 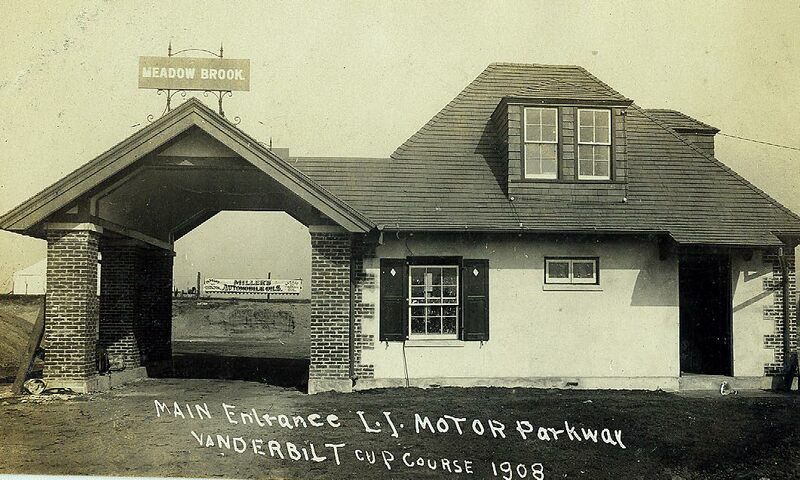 I believe the well-maintained golf course is the Meadowbrook Club. If so, the entrance to the club at the north end had a train trestle that went over the roadway. The trestle still remains next to the Meadowbrook Parkway, although overgrown. It is readily visible in the winter when the leaves are gone. 1906, 1907, 1908 and 1909 races. Looking north; East Meadow and Westbury areas. Hempstead Tpke running left to right across bottom. Lake visible in center, fromer Salisbury Park. Holy Rood Cemetery at top center. Another great shot, with TONS of landmarks! Especially the estates off to the North in Old Westbury. A lot of Phipps property in the photo! With ‘Westbury House’ and ‘Erchless’ front and center. 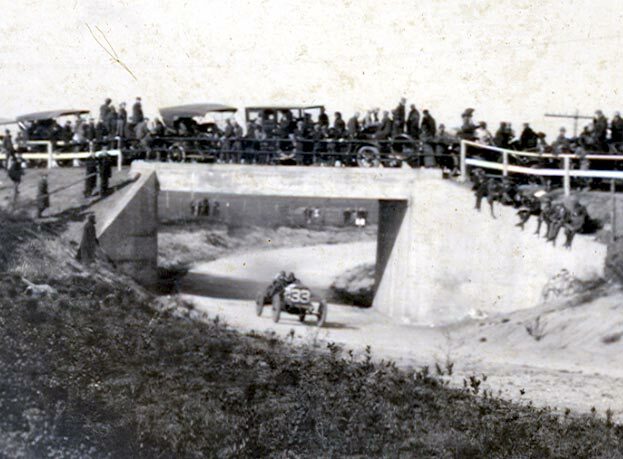 To the right of that, the 1904 and 1906 grandstands and press boxes were on Jericho Turnpike, directly in front of Hitchcock’s Horse Track at Broadhollow Farm.-Jericho Tpke was also used in 1905. 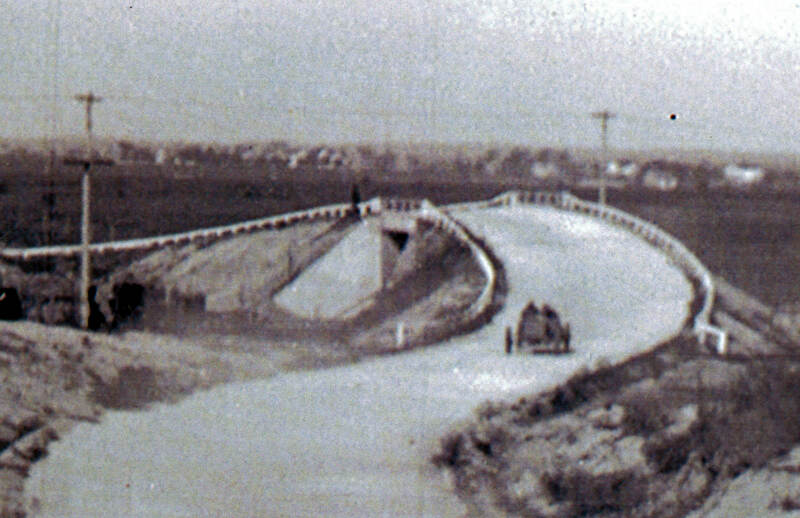 In 1908 ,1909, and 1910 part of the course also used some small sections of Salisbury Park Drive, Ellison Ave and Old Country Road. So hasn’t just about every cup race used some of these roads, and not just 4? Also, It’s a stretch, but to the left of the encircled Roosevelt Raceway horse paddocks where the tracks are, was the site of the 1936 Cup races, could that be included as ‘races in the area’? My old house in the Salisbury section will be built off to the right in four years, so it has yet to be ‘landmarked’. LOL! Nice shot. 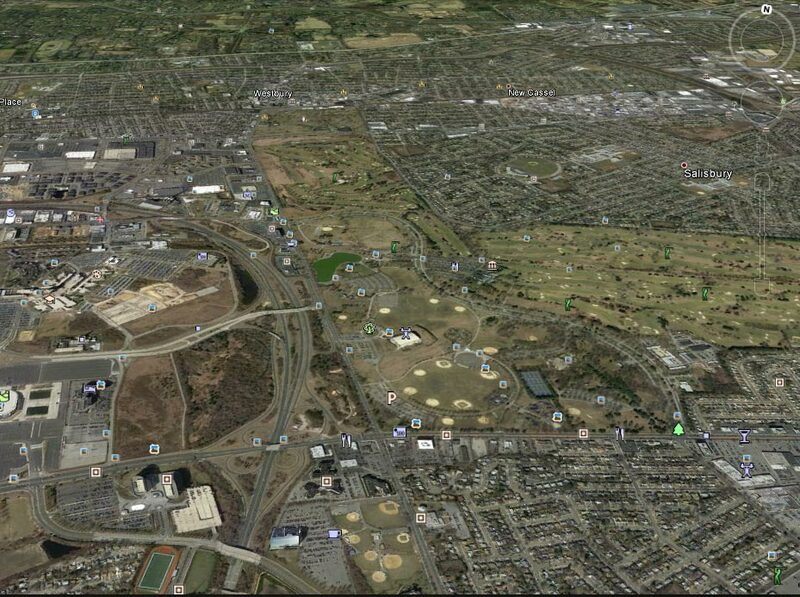 It’s future Eisenhower Park in the center looking north, here it’s Salisbury golf course with Stewart Ave running undivided, east-west through the course. The LIMP is north of Stewart running parallel to it. Plenty of golfing here. 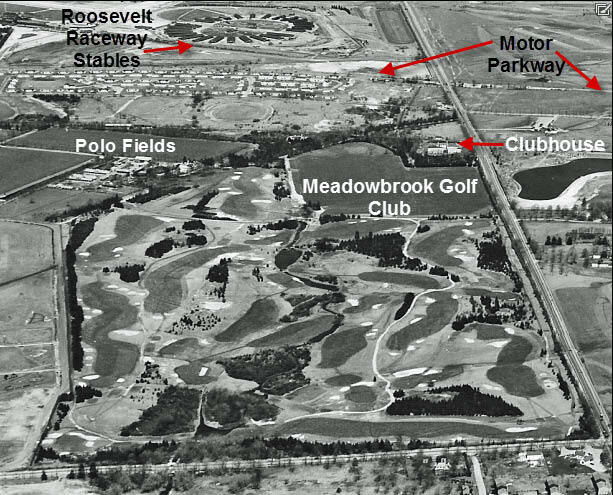 Meadowbrook Club golf is west of Salisbury golf where the MSPkwy will run thru 7 years later. Mitchell Field is just west of that. 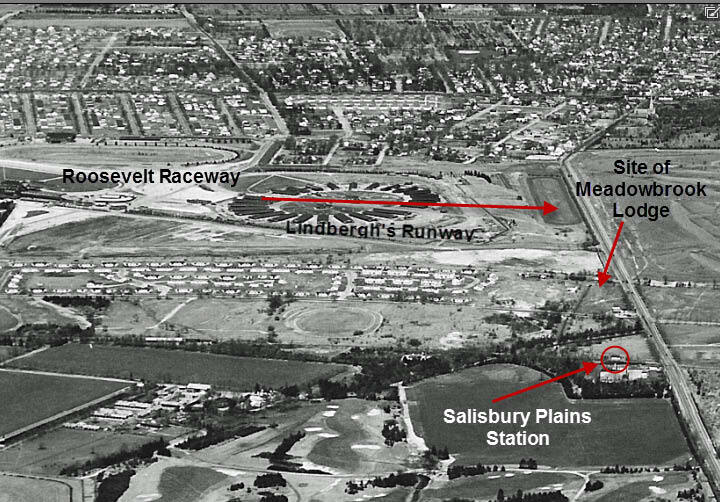 The Meadowbrook Park racetrack is on the east side of Salisbury golf, remnants still exists today as part of the school’s backyard. Appears all 3 LIMP bridges are gone, also the Meadowbrook lodge. 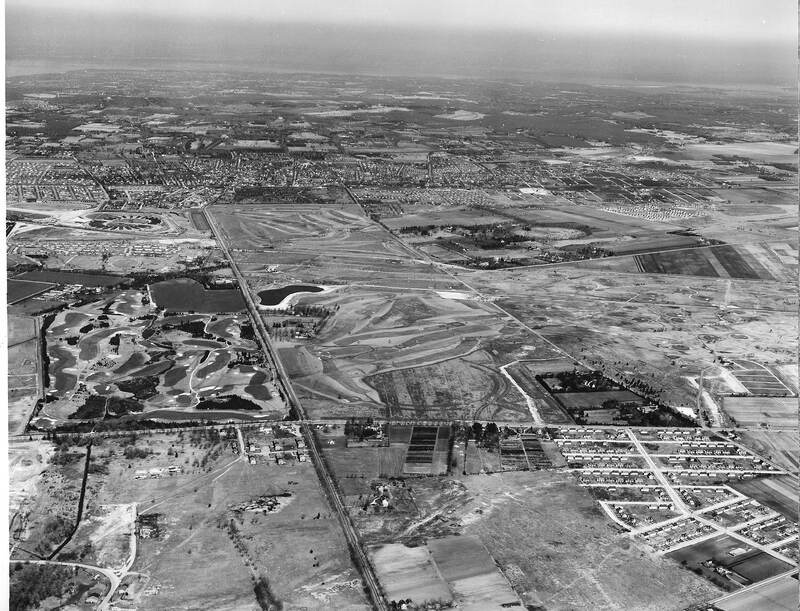 I see a corner of the Meadowbrook polo grounds along the left edge, Roosevelt horse raceway with its circular stables on left, Front Street is in the bottom right corner running diagonally east-west. Correct me but I think there were 7 Cup races that ran through here: ’04-Hmpstd Tpke, ’08/’09/’10-Limp/Old Country Rd, ’36/’37/’60-Roosevelt raceway, not sure. Is that an extended East Meadow Ave running north-south through the park? Good job guys with the answers and adding a little more info and Frank,that question you’re not sure of,you’ll get from someone else,most likely Howard,knowing him.